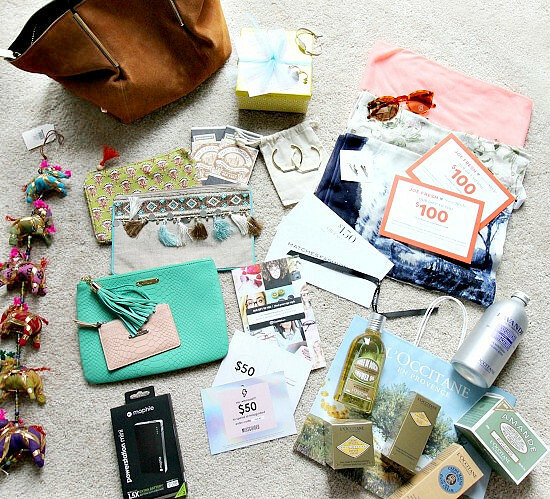 $2200 Swag Bag Giveaway Celebrating 5 Years of Blogging! | hi Sugarplum! Five years. Really…I’ve been blogging for five years? How is that possible? I was sure I’d run out of things to say after five months…and here I am 60 months later still running my mouth on the internet. I still love every single element of blogging…from creating the content, shooting and editing the photos, writing the post, and most of all, sharing it with you. The ‘you’ part has grown over the years, as has the community of friends, but with every post, I still feel like I’m talking to my best friend. Five years ago, I would have never dreamed that what started as a much-needed creative outlet, as well as a distraction from my grief, would evolve in to one of my greatest sources of joy, support, and friendship. The recent style conference I attended had a lot of very generous sponsors, and being gifted like that always makes me a tad uncomfortable…because I’m just doing what I love so much, and also, I know I wouldn’t even be invited to those events if it weren’t for your support of this blog. So to celebrate five years, 1215 posts, 32,678 comments…and YOU….I’m giving one of you lucky ducks the entire swag bag gifted at the conference. You guys loved this last year, so I thought we’d do it again…this time bigger and better! Click the links for more details & enter in the Rafflecopter below. Yes ma’am, you read that total right…$2200 in amazing, cool gifts…all for one of you! I wish I had one for everyone, along with a big hug and margarita happy hour. But instead you’ll just have to accept my genuine gratitude for your five years of friendship, support, opinions, constructive criticism, ideas, and laughs. I love and appreciate every single comment and email, and hope you continue to find inspiration here from time to time. Good luck, lovebugs! P.S. My darling friend, Megan, is doing a similar giveaway, so hop over to her blog for another chance at winning some amazing goodies! 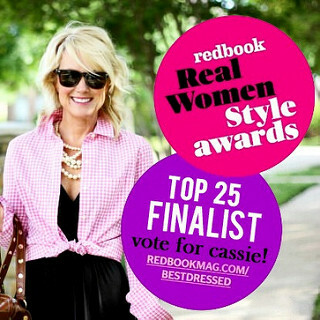 This is the last week to vote for me in the Redbook Real Women Style Awards! And remember you can vote every day, from every device! Click here to vote today! Thank you ~ Thank you!! UPDATE: This giveaway is now closed…the winner has been chosen and contacted. Thank you to everyone for your kind words and support!! I just love your blog! My favorite are your style posts! I just love this blog! You continually keep me fashionable and laughing!! Happy 5 years! I love your 5 ways posts! Love your style posts! Happy 5 years! Love your blog! My favorite are the blogs you do on home decorating. Congratulations on five years! I can't pick a favorite – I love everything 🙂 Happy five years!!! I check this blog every morning. More fashion tips & advice. And any tips on how you keep a balance in life with all the activities and roles. I love your outfits, they are always budget friendly and right on trend! Congratulations on 5 years of blogging Cassie!! Love the blog! 5 years, Wow! I look forward to your posts every morning! I recently started following you – love the blog! You're the first blog I check each morning! Congrats on all your success! I love everything you post! I always look forward to reading what you have to say! Congratulations! Love the blog. Look forward to each post! I love all of your posts, can't pick a favorite! Wowza what a great giveaway! Congrats on 5 years! Congrats on 5 years! Loved your blog from the moment I found it a couple of years ago. The fashion, the home decor, but mostly your sense of humor 🙂 Thanks for the opportunity! Congrats on 5 years! I also wanted to let you know that your rockstar contractor is starting work on my parents' kitchen next week. Thank you so much for the recommendation! What a great giveaway! Happy 5th Blogiversary! Happy Anniversary! I am a sucker for all things holiday related, so I just love all your decor and craft posts for every holiday! I love your colorful styl, especially your home decorating posts. Happy Anniversary! Congrats on 5 years! I love all of the style posts. Happy Blogivesary! My favorite posts are the room reveals and whenever you show what you wear everyday. I love your organization vignettes. I would like to see more gardening posts this spring since you are in your new home. I love the variety of your content! Your styling of your home has really opened my eyes to some new ideas. Thanks! Happy anniversary- five already. Your blog is filled with amazing ideas. Please don't stop. Happy Anniversary! Thank you for the chance! Thanks for the great giveaway! I love your DIY and decorating posts. I made my own versions of your large photo prints (the horse in your daughter's old room) to display photos of my girls and I have gotten so many compliments. Would love to see more things like that. Thanks again!! Happy Blogiversary! I love your blog, especially your home decor posts! I love your fashion posts! Especially the looks for less! I love reading and learning from your blog. The styling tips are my very favorite; I'm pumped to try out the new Jergens self-tanning mousse you featured a few posts ago. 🙂 Thanks for being a fun place to stop on my Bloglovin' feed. I really like all the Home Decor ideas. Thanks for the great giveaway. My favorites are your home style posts. Congrats on your blogoversary! Happy 5th! I love your style posts, especially your Friday Five!! I love everything on the blog! You do such a great job of mixing up the content so it always feels fresh. I am very exctited to see continued progress on the new house! yay! Congrats on 5 years! I love following your home makeover posts – painting, decor, moving furniture from one room to another, etc. Congrats and thank you for sharing every day! Keep on with the blogging Cassie! Yours is the first blog that I turn to every morning to get my day in the right groove. Congratulations on your five year anniversary! You amaze me with your awesome content. I first found you a few years ago when you were doing fashion posts inspired by something else. Love all your fashion posts! Congratulations! I love everything about your blog! Happy 5th, great job! I like the updates on home decor/renovations the best! I love decorating and DIY posts. I'm not very good in that department myself but am always inspired by these type of posts. I love your decorating and fashion style. I would love to see more of your beautiful home. Congratulations on 5 years. Love your blog! I would like to see some more look for less with home decor! Congrats!! I love seeing your new house transform. Before & Afters are so much fun. Do you have a front porch? I'm having trouble decorating mine. Hiya! I live in Dallas (about to move to Frisco). I love your "local" posts – especially when you mention local finds for the home! Love the fashion posts and travel with kids! What an awesome swag bag!! Love all of your house and fashion posts! Cassie! Why aren't we friends in real life?! I look forward to your crafty, witty posts daily. You Make me want to write! What a great contest! Thanks for doing what you do. I love your blog! My favorite posts are the fashion posts! I love all the outfit inspiration you offer us! I would love to see more info on parenting and summer reads on the blog! Thanks for the giveaway and congrats! I love you design posts mixed with your crafty posts. I love the home decor, craft and DIY posts. Thank you, thank you, thank you! I'm so grateful for all of your posts! Love your fashion posts but also love seeing your home decor as well! Happy 5 years!! Happy Five Year anniversary! I just adore your fashion posts…keep them coming! I adore your blog. I've followed you for two years! Congratulations! It's been a ton of fun following you along on this journey and getting ideas on everything under the moon, from traveling and birthday parties to fashion and making a house a home! I've loved it all! Thank you so much for sharing all you do! I'm so very happy for you! Love reading your posts each morning! I love your fashion posts. Congrats on your 5 years! I'm new to your blog but have heard great things about it through Megan and Shaeffer. I love fashion and DIY posts the most. THanks! Happy blogaverary!!! I love absolutely all of your posts but my favorites are your fashion posts. Especially the ones that compare high end items to similar low cost ones! I love your style posts! I love all of your posts, especially the fashion and decorating posts! Happy Blogiversary! Love your blog, Cassie! I especially like getting a glimpse into your family life and any post about you and Mr. SP makes me smile. Congrats on 5 years! What attracted me to your blog was your travel posts and your style posts keep me coming back!😘 I love your blog! I like the DIY and decorating posts. Happy 5th Anniversary, Cassie! I've loved reading your blog and watching it grow. My favorites are the posts about your house updates and your new favorite finds. I also love seeing the obvious adoration between you and your husband. 🙂 Cheers to many more years! I like the style posts best! I just discovered your blog a few weeks ago. I love seeing your fashion posts. Congrats on 5 years. Cassie my darling daughter is starting her own business fashion styling and this gift would help her career so very much. Fingers crossed and thank you for the opportunity. Amazing 5 years. Kudos to YOU! Love your Friday posts. What a wonderful way to kick off the weekend! Congratulations! I like your style and decorating posts – and your general sassiness! I love your day in the life posts, and day to day style posts! I really enjoy your blog – the decorating, DIY, fashion and family! May you have many more years of blogging! What a generous way to celebrate – congratulations on five years! It has been fun to read along and see your style evolve. I love your fashion posts! You are awesome!! I love all of your posts, but fashion are my favorite! You have such great style! Yay! Happy Anniversary! Love all of your fashion and home decor advice! I seriously love this blog! My morning read Monday-Friday! Happy Blogiversary! I look forward to reading your blog daily. I would love to see more organization tips, particularly for traveling. Happy 5th Anni! That's so so exciting! I love just about all of your posts. Your writing style is what really draws me in. I hope year six is even better! What a great way to celebrate your blog turning 5! I adore your blog! Our styles are very similar! Great style and blog! Happy anniversary! Been a long time follower! Also live in North Texas, my hubby has similar style and build to Mr SP, a tween boy and wish-she-was-15 little girl. We just got back from basically your exact same trip to Puerto Rico. Old San Juan and five days on Vieques. Loved! Happy 5 Years!! I want a piece of that cake!! Best wishes for many more! My favorite are your posts about decor in your home. I'm ready to see more of the kitchen! Happy Anniv! 5 years! Congrats!! Such an amazing giveaway!!! Congratulations on 5 years!!! Love the giveaway! My favorite posts are when you show how you pack/what you pack! I'm so impressed with how gorgeous you always look and you pack so efficiently!! I need some serious help in this area 😉 Happy Blogiversary- keep up the amazing work!! Love your Blog and love your style posts (so nice to see someone posting AFFORDABLE items) and Love LOVE your decorating posts. Have really enjoyed your blog. Favorites are the outfit posts – great ideas that are affordable. Love your blog! You are so refreshing and I look forward to reading your posts about decor, fashion and DIY. Awesome giveaway! ♡ your blog!!! Wow! This is an amazing giveaway! Woohoo! Awesome giveaway! Love your style! LOVE your blog. So fun to read each morning, and I especially love the fashion and decorating posts. Thank you for showing AFFORDABLE items for both!! I've just found your blog and I'm loving it. And telling my daughter and nieces and friends. Such darling outfits!! Love it! I love your packing tips! Congrats on 5 years! I love your DIY posts, room makeovers, and new house updates! Your fashion posts are my FAVORITE!!! Congrats on 5 years! I love your realistic approach to fashion. happy anniversary. thank you for such reasonable fashion and decorating ideas. love your style. I enjoy your fashion posts…especially ones that include "everyday" type clothing. Love room makeover posts too! You are darling and I LOVE your blog! Your home decor posts are my favorite! More of those, please! Congrats on 5 years!! That's awesome! And thanks for the chance…I just love your fashion posts so much! Congrats on 5 years!!! I love your fashion posts especially the day to night or the 5 ways. As a busy mom, it's nice to have fewer pieces that I can wear more ways! I love. love your fashion posts! Congrats on 5 years! I love your home decorating posts…. They help me think outside the box little more. i love your home diy posts- room makeovers- the most! Love your style posts especially when you show multiple ways to style something. You have fun with your outfits. I love all of your posts, but the ones that stick out are your fashion ones and home decorating. I'd love to see more kids fashion?? Congratulations on 5 years!! My favorite thing about your blog is how you mix color and patterns in both fashion and home. Love your blog and all your posts, but mostly, I like your posts on casual outfits. They always give me such inspiration! I've been voting daily and I love your fashion and home posts! My favorite are definitely the DIY posts. Congratulations and best wishes for many years to come. I enjoy reading your blog. Love your travel and fashion posts. Keep up the good work. Happy anniversary! I love your home decor posts. Happy Anniversary Cassie! Thanks for the awesome giveaway. I've also been voting for you daily on the Redbook style awards…Good Luck!! I enjoy posts where you show how you are decorating your home. I never comment, but I read every post. You are a huge style inspiration for both home and fashion! Love the Sugarplum Style posts! Congrats on 5 years! My favorite post are about home decor. You are always giving me new design ideas i would have never thought of. I love the fashion posts! I just ordered a Barrington Bag thanks to you! I love all your fashion posts. YOU always have great ideas and of course, great style! Wow, five years! I discovered your blog two years ago and love it!! Excited about your give away! I really enjoy your blog~especially the fashion tips. Congratulations on 5 years!! I don't think I've ever done ANYTHING consistently for 5 years! That bag is AH-MAZE-ING! This is so awesome of you! Congrats on the milestone! I love seeing what outfits you pack for different trips/events! Being a local Dallas-ite, I love seeing you and your family visiting Dallas sites. Top Golf is not far from me. We should have you over for dinner! whoa, fingers crossed right here. all your posts, really. the style, the packing, the vacation, decorating. My favorite type of blogpost on hi SugarPlum is home renovations (like the kitchen) and same outfit styled different ways. Congrats Cassie! Love your blog and your style and I look forward to your posts every day! This post just shows how kind-hearted and humble you are even as your little creative outlet has gotten so popular! I love reading your posts 🙂 PS Voting like crazy over here!!! Love your outfit posts, but also really love your before and after room makeovers! Love your new kitchen and master bedroom! Congrats on 5 years!! I really enjoy your travel posts and any tips fashion or other. But I most enjoy your sense of humor…it's what makes me enjoy your blog the most!! I love your fashion posts! I also love your decorating and room makeovers. I really enjoy all of it and look forward to reading your blog every morning while sipping on my coffee. Congratulations! Great giveaway! Thanks for your years of blogging goodness! Love your blog! So generous of you to offer up such an awesome swag bag! Congratulation to five years of blogging! I found your blog just a couple of weeks ago and I`m loving it ! Have a great day! And, congratulations on the voting — hope you win!!! Oh, Cassie! CONGRATS ON 5 YEARS. That's awesome. I really enjoy your blog and always get great inspiration from you. You're one of my favorites! 5 years?! Wowsa. Thanks for sharing. I love your party posts + home (inexpensive) decor. Your sense of humor is mostly what keeps me coming back for more, too. Keep it up!! I'm so excited about this. It is so nice for bloggers to give back to their readers. Here's to the next 5 years!!! Congratulations on 5 great years! I love all the outfit posts. Love the blog. I love the home posts and the fashion ones – always need more help there! Thank you! Not sure if my comments posted so posting again! I love the outfits posts, the update on the new house posts and I LOVE your how to pack a suitcase for a trip post!! Congratulations on 5 years! I just found your blog last month and I'm addicted! I really love your fashion posts. I love your style! I'm 41 and I struggle with finding fashionable, age appropriate clothes. Your fashion posts are spot on. I also am a big fan of your design posts. Your bedroom looks amazing and your pictures have inspired me to make some changes! Hi Cassie! Congrats on 5 years. We love you and your style. Can't wait to see what you do in the next 5 years. I love the "Look for Less" posts! Congratulations on 5 years! Love your blog and your style! Love the DIY posts the most! Thank you! Congrats on 5 years! You're one of the first blogs I read every morning over coffee! I love the fashion posts but my favorite are the design posts. I'm always looking for great inspiration for decor and you have a great eye and talent! Happy Anniversary! I love your style and outfit posts! And I can't wait to see more posts of decorating the new house as you all (or ya'll as you say down in Texas!) get settled in and make it your home! Happy 5 years! I love your style posts the best! Party time!!! Hooray for 5 years! I'm a pretty new follower and loving your posts! Congrats on FIVE years!!! Thank you for the fabulous giveaway! Amazing Blog and giveaway! You are so sweet! Keep all the great posts coming. I love the home decorating blogs! very inspiring! happy 5! I adore your blog! My favorite posts are your decorating ones. Thanks for sharing YOU with us on this lovely blog! What a generous giveaway! My favorite posts you do are the ones where you show different outfits that you wear. It gives me ideas on how to create outfits from what's in my closet. Thanks so much! Congrats on your 5th Blogiversary! I'm a longtime reader & you're one of my inspirations at my own little baby blog! Congratulations on 5 years, although I've only recently started reading blogs I love the variety that you share, every day is something different. I love the way you put your outfits together and show different ways to dress them up or down. I like your home decor posts. Congratulations! I've been reading for about 9 months, I don't even remember how I found you but I start everyday with you. I love the fashion blogs, how you get more than one look out of an outfit but mainly that what you show are real looks for the real world at real price points that the average woman can actually afford. But I love the house blogs too. So basically just keep doing what you are already doing! love your blog and hope I win!! Congrats on 5 years! I love your style & DIY posts-it's a tie! My favorite posts are the home improvement and fashion posts. You've inspired me to take more than one "risk" in both areas and I could be more happy with the outcomes! Congratulations on your 5 year anniversary! Holy moly, what a bag! I vote for you every day! That is alot of swag. I have just recently found your blog and I really enjoy reading. Happy 5th!!! 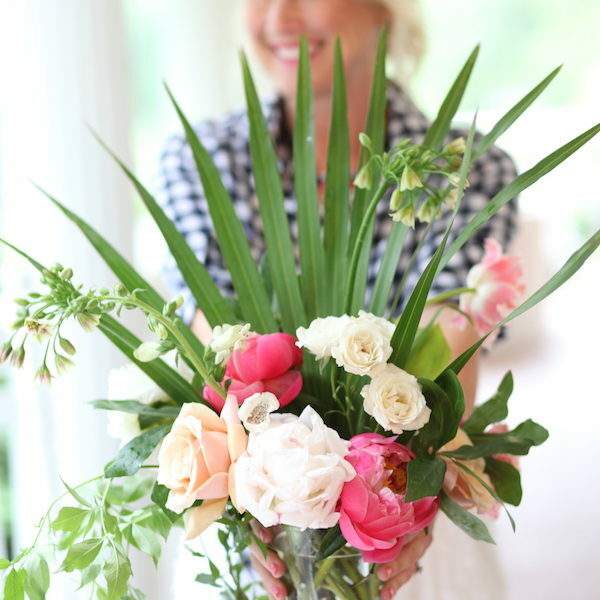 I love your posts on fashion and home décor and style! Please keep inspiring me daily!!!! Home design and decor posts are my favorite! I love your home makeover posts. Your personal style posts are great too! Congrats on your 5 year anniversary post. I've been following you for the past 3 years – it's one of my top five blogs to read. I love your home decor, DIY and your travel posts. Looking forward to seeing more of your new home decorating posts. You are so talented! Love your blog! Congrats on 5 years!!! Cheers to five years!! This giveaway is so rad – just like your blog! Thank you for sharing your talent with us. Congratulations on your 5 year anniversary! I love your home decorating blogs and I've become addicted to you Friday fashions. I would love to see more blogs on how you continue to decorate your new home! I love all your posts. Congrats on 5 years. Thanks for your daily inspiration with your awesome posts on style, motherhood, being a hot wife and decor! I love it all! Congratulations! I've really enjoyed the new house posts and I'm looking forward to many more. Love all your home decorating posts. And outfits! Congrats on 5 years!! 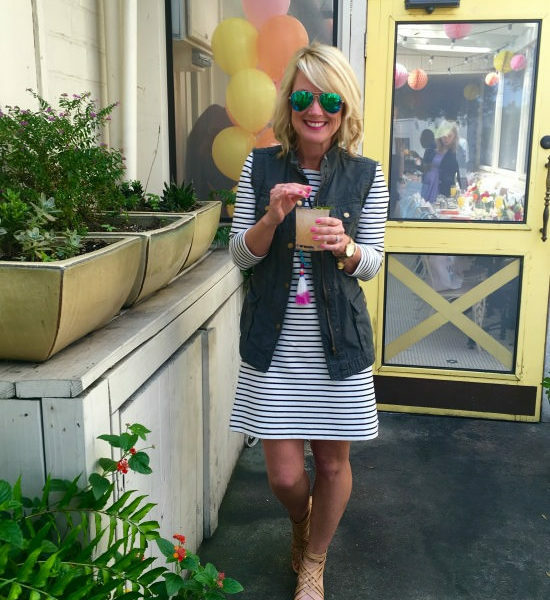 I love all your style posts….love seeing how to use clothes in so many ways! I love your blog! And I think, just you in general. My favorite posts are the Friday Five posts! i really love your DIY posts and your decorating posts. you really get creative. so many bloggers seem to get bogged down with the same vendors as a resource for everything (that is also seemingly received for free) and you mix it up quite a bit. i appreciate that it's not the same content i see everywhere all the time. Congrats and thanks for sharing the love! You make fashion so accessible!! Congratulations on 5 wonderful years! My favorite posts are the series with one outfit but wearing it in different ways!!! I also love the splurge vs. steals!!! So fun! Congratulations!!! Congrats on the milestone and LOVE this giveaway!! Thank you! Cassie, I love your blog! It is always a fun, positive start to my day. It makes it extra fun for me that you live close by…I'm always trying to guess where you are in photos. Keep up the good work! Congratulations on your 5 year blogiversery! I love all of your posts but currently I'm so interested in seeing what's happening inside and out of your new home. Hi, Cassie! Five years is quite an accomplishment. Congratulations! I started reading you because I like your room designs, but now I like the fashion posts and the travel posts just as much. I followed your Puerto Rico itinerary almost exactly and it was fabulous fun … plus I looked stylish while I was doing it! Thanks, Sugarplum! Yeah for 5 years! I love the outfit posts because they push me outside my comfort zone. I would love to see more travel posts! Holy Bananas! That's a great give away! Love reading your blog! Congratulations on 5 years! A big Congrats on 5 years! I love all of your blog posts! They are inspiring me to live a more colorful life! What a great giveaway. Keep the humor, style, and home decor coming! I really enjoy your blog! I love the travel posts! My husband and I booked our babymoon to Puerto Rico because of you!! My all-time favorite post is the hair tutorial. You inspired me to run out and buy my own curling wand. It is a tricky thing to figure out, but your tutorial helped tons!! I am also rocking a few awesome burns–I think I need TWO gloves, not just one! Eeks. I also love your fashion posts and seeing how you mix and match prints and patterns. You are a style inspiration, for sure! I honestly like all of your blog. I think it has a great balance of home, life, and clothing posts. I love the fashion posts and the home/diy posts. Congrads on 5 years! How exciting! Congratulations on 5 years. Love reading your blog and come away inspired each time! I love your home decor posts!! Congratulations! I am dying to see pics and plans for your new house!! Congrats! So hard to choose my favorite type of post…I really love them all! If I had to pick, it would probably be your clothing style posts. Let's see more of your inspiration from rooms! Those are great! But I also love your decor posts and travel posts… And you and your family are darling! Congratulations on blogging for 5 years! I've been reading your blog for a couple of years at least and I really enjoy all of your DIY and home improvement posts. But, what I enjoy most is the mix of posts! Thanks for all of the time you take to make the posts. This is the BEST giveaway ever, oh I hope I win!!!! Congrats on 5 years! I love all of your posts and I like that you blog isn't just about decorating, but that you have a little fashion, vacation & family posts mixed in. Its the best! I've been reading for 3 of the 5 years! Hi! You are just so cute! I love the house projects and all of your outfit posts…thanks for the giveaway, so fun! This is so generous of you! I absolutely love your blog!! I love all of your posts, but especially the style posts – I love seeing your outfit ideas and how you put things together! Congrats on 5 years! My favorite post? All of them! Yours is my absolute favorite blog – everything from your fashion to your home inspire me. Keep doing what you're doing! Congrats! I really love your home posts and your style. You've got a gift! I love your style posts, fun and fashion! Congrats on 5 years! Love, love, love the travel posts! Love the blog – but especially the style and travel posts! Yes please on the bag! Congrats on 5 years … and having an army of clones walking around with the vegan reversible bag and kitten cardi from Nordstrom! I love your blog! Congrats on 5 years! Here's to reading your blog for 5 more! What a generous gift for your readers! I love your home posts – always fun to see a beautiful yet livable space. New to your blog this year. I came for the decorating, but I love the fashion too. Happy Anniversary!! Thank you so much for the chance to win! I found your blog a month or so ago and am loving it!! Simply put, I love your style! Congrats on five years, I look forward to many more! I like your fashion posts and hope to see more of those. Thanks for this great giveaway! Love them all – fashion, design, travel! Fabulous! So … this may be duplicate …. but congrats on your 5 years! I really like your fashion posts and feels like I've joined your army with the vegan tote and kitty cardi from Nordstrom. Here's to many more years! I really enjoy the home improvement posts and seeing the updates to the new house. My favorite types of posts are your fashion ones. You are so cute in everything and have the BEST style. I also love the save vs splurge type posts. I wouldn't mind more of those. Congrats on 5 years!!! Love your fashion and house posts! You are so good at mixing patterns! So cool! I would love to win! Happy 5 year blogging anniversary!! Happy blog anniversary! Love the style posts and new house posts (especially room makeovers)! 5 years! Keep up the good work (and the sarcasm too!) Love it. I love reading about the work you're doing on your new home!! I love all of the design posts. Always something to take away and apply to my own home. Yay!!!! Congrats! I love both the home and fashion posts. Can't wait to see more of your home as you make it your own! Congrats on 5 years! I love your fashion posts and have gotten so many great ideas from you! Congratulations on 5 years! I love all of your posts but my favorites are the DIY posts you do with your home. Congrats on the five years! That's wonderful. I love your fashion and travel posts. I love the new house design and planning posts as well, and would love to see some shopping posts and looks-for-less for home decor. Hard to believe it's been 5 years! Think I have been around for most of those. I love the house posts and the dyi posts. I also think your fashions ones are fun and they seem to be your first love! You always have fun with those! Keep those creative juices flowing! Congratulations on 5 years of blogging!! It's hard to say what part of your blog is my favorite. I love the Wear it Five Ways posts as well as Splurge vs. Steal. I also love your travel posts! Then there's the house posts which always inspire me to be a little more creative in my own house (and not fear color!). Your family posts are great…your family is so darling. Your fashion is spot on. I am 44 and have bought several of your recommendations because I feel like you walk the line of cute, fashionable and not trying too hard perfectly. Basically, I love it all. Good job to one of my very favorite bloggers!! Congrats! I love your decorating!!! When you bought your new house I checking your blog by the hour looking for updates! I can't wait to see how all the rooms in your new house come out. Your style is chic and your blog is fabulous! Looking forward to reading for another 5 great years and more! Thanks for the tips and inspiration. I love to see the progress on your house like the kitchen updates! Happy Bloggy Anniversary! My favorite posts are your fashion/style posts because you always looks amazing and so pulled together! Congrats on 5 years! Thanks for all of the inspiration you provide! I love your colorful bold style! Home decor posts are my fav but no complaints on anything you post! Thanks! Here's to 5 more years! and then 5 more! and then 5 more! You get the picture. I absolutely love your style – both fashion and decorating. And I love that you're so authentic on your blog. Your personality shines through in every post. But I think my absolute favorite posts are your home decorating ones, and I loved your recent ORC series. Congratulations! I love your travel and packing posts. We are planning a trip to Venice and I enjoyed reading about your time there! I love your voice and how real you always keep it! Your style and mix of pattern and color encourage me to step outside the box and for that I am thankful! Congrats! You have a fan in Minnesota – can't wait to read another 5 years!! I love your style posts. Very classic look that seem "doable" for the average person. Love all your posts, especially the home ones! Happy Anniversary! I love your style and enjoy reading your blog! Your outfits are so darn cute. I have voted for you many times and hope you win the contest! Congrats on the 5 years! I have been following you for about a year and a half, I must say this is one blog I check daily – – I am addicted!! I love seeing your fashion post and love your design style!! This is so fun! Thanks so much!! My favorite thing about your blog is that you do something you love because of SOMEONE you love (and who obviously loved you deeply as well!). I look forward to many years to come of your fun blog! I began following several blogs a couple of years ago and have since grown tired of all of them except yours! I LOVE your blog! Your home decorating and fashion style are similar to my own (yours is much more polished and chic of course) so I actually get ideas I would really use when I read your blog. Your sense of humor and the fact that you don't seem to take yourself too seriously make reading your blog like reading a letter from a friend! Congrats on 5 years of blogging and all the accolades and accomplishments you've earned during that time. I live your 5 way posts and always look forward to them! Love your blog, keep it coming! I love your DIY posts and all your fashion posts!! Congrats on 5 years! I love reading your fashion and home decorating posts. It's so generous of you to give away your entire swag bag! I really love everything you do. The fashion posts have inspired me to take more time to care for myself and my appearance, your DIY posts have inspired some of my projects, your home posts push me to reconsider color and bold choices. Thank you for doing what you do. I generally love just about everything you post, but I just LOVE your style! I'm super excited to see the final kitchen reveal too though! I love your style posts most! This give away makes me so happy! Im in love with your home, your style, your blog! Congrats on 5 years! What an amazing give away!! Congrats on five years blogging! I enjoy seeing the updates you're making on your home – I'd love to see more of your kitchen and other projects. Love the give away! I like to see home decor posts! Congratulations on 5 years! Love your fashion and decorating style! Congratulation on your 5 years of blogging!! I love your Room reveals and your 5 ways to style an outfit. Oh – and the look for less!! Congratulations on your 5 years! Love your fashion styles and really enjoyed your 6 week design challenge. Your bedroom turned out wonderful. Congrats! I LOVE everything about your blog!!! Love your blog! I love the fact that you mix fashion and home design posts, and, most importantly, you always have links to wear to get the items you show. That is HUGE and all too rare these days. Great work! Congratulations! I love the DIY and home posts. Congrats! I love your style, your projects, your jewelry, just everything!!!!!! Congratulations and Happy 5 Years! I love the outfits you post and how colorful they are. I'm a pretty neutral gal but you've inspired me to inject some color into my wardrobe! Congrats on 5 years!! Really enjoy your blog and look forward to reading it for years to come! Excited about seeing more of your new home! Great giveaway! Congrats on 5 years! I've been reading for 3! loved your post about how to pack for a trip, the helpful tips are always great! Congrats on your 5th blog anniversary.. Love your home decor and travel posts.. Hoping to see many more..
Love your blog! Congrats on 5 years!! Travel posts are my favorite of yours. Plus anything to do with redoing your house or decorating. Home DIY projects. I love your marble tray! I love that you do a variety of topics from household projects, decorating, to travel and family fun, and fashion! Also, I especially love that you are real with it and consider the budget. So, please just keep doing more of what you already do……oh and the Maggie photobombs are one of my favorites! This is my first time here! I think you have a great thing going on. Congrats at 5 years! 5 years! So you were 18 when you started right??? Congrats girlie. I love the high/low posts but I'd love to see more interior design projects! Your new master bedroom is GORGEOUS! Congrats! Congrats! Looking forward to your posts for many more years 🙂 I love both your fashion posts and your posts of home projects. I enjoy when you post wardrobe staple pieces for the different seasons, that can be mixed and matched with links to where to purchase. And your Nordstrom anniversary sale finds! Oh my gosh Congrats on 5 years! I love your blog, its become the first one I read every morning! My favorite types of posts you do are room remodels because I love to see what you do with your Texas house! I love your fashion posts, congratulations on five years!! Your blog is one of my favorites!! Comgatulations on 5 years! I love your DIY and home style posts. I always leave with a new idea to try in my own home. Every day you make me laugh! Love your blog… I think the fashion posts might be my favorite! Congratulations on 5 years of blogging!! Love your sale, especially the fashion posts. Thanks for the opportunity to win such a generous gift!! Happy anniversary!! Love coming here every day-you are always so fun!! Thank you for sharing your fabulous life and ideas with all of us! Happy fifth birthday! I truly enjoy reading your posts every week 🙂 thanks!!! Congrats on 5 years! I love reading your blog! Congrats on the five years! I totally enjoy your design posts as well as the fashion posts. And I think this is a really great giveaway! Congrats on 5 years of blogging! I think I've been reading most of those years! Thank you for the giveaway!!! I love the fashion posts! I absolutely love your blog! Especially the home stuff…and the fashion! Congrats! I love reading (and seeing) home updates–you have great taste and I can't get enough. I'm also a big fan of your travel posts–you make me want to be more adventurous. Thanks and keep it up! Happy five years! I love your style and travel posts and that you keep it real. Congrats! I love your decorating posts the most. Your use of color and budget-friendly buys are on point. Congratulations! New reader here but love your blog. 5 years is huge! Congratulations on 5 years! I really enjoy reading your blog posts, I especially the comparison shopping post with different outfits if you like this … buy this posts as I'm always up for a good bargain! Love seeing your new home come together!! gives me such inspiration. Thanks for having such a great giveaway!!! Looking forward to following along on the next 5. My favorite posts are home posts, but style one are a close second. Love your home decorating and organization posts!! I am a more recent follower – found you through the ORC! I love reading your posts about design and redecorating. You have great taste! I love the outfit posts and the décor updates. LOVE your blog!! It is refreshing and fun to read. I love the fashion posts! I love your fashion sense and seeing all your home designs. I'm a North TX gal as well! Congrats! Love the house updates and style posts! Hooray on 5 years! I am new to your blog and just LOVE getting your updates. My faves are the ones with pictures of your home…the new master is just gorgeous! WOW! you are too sweet! Congrats on 5 years! I've been a follower for a while now. I look forward to reading your blog and seeing posts via instagram and fb! Love your style and creativity! Congrats on 5 years! The fashion posts are my fav! Recently I found your blog and have been reading a lot of your older post- I do mean A LOT! Everything is so inspiring and encouraging. I can't get enough. My favorite posts are about fashion and organization. To tell you the truth fashion has never been my strong suit. So any help in that area is greatly welcomed! I'm always looking for new ways to organize my house. Your post have given me plenty of great ideas. Keep up the awesome work! I like your project posts. I would like to see more furniture update posts. So nice of you to give away something of such a huge value. Love your blog (and I just discovered it last month….so I'm slowly back reading old posts). Love all the home decor and would to see more DIY projects to make the home "pretty"! Congrats! This is so generous of you! I love your blogging "voice." Keep up the awesome work! It always puts a smile on my face to read your blog every day. Congrats on 5 years! Congrats on 5 years! You are lovely and talented and inspire me immensely! Congrats! One of my favorite blogs and I'm so looking forward to seeing you transform your new house into your home. Congratulations on 5 years!!! I loved your ORC updates. That was how I found the blog and I have stuck by it! I would love to see more design features. Yes I can never get enough! I like your fashion posts and also your home styling posts. Congratulations on 5 years!!! I love the home photos and how-to-wear multi ways!!! Way to go on 5 years! I love your one item-five ways posts. Congrats on 5 years, loving the journey! I loooove Sugarplum travels! You have great tips – everything from itineraries, planning & packing! From one Cassie to another, I love the decorating posts! I love the way you decorate your house!! I can't get the flamingo sheets out of my head!! Hooray for five years! Congratulations! I'm a newer follower but LOVE finding blogs that highlight fashion ideas for women over 40! I'm pretty sure we're pretty close to the same age (43) so my favorite posts are your fashion ones. I also love anything related to travel so that, or a combo of the two, are perfect! Keep up the awesome blogging and much future success! Wow! Thanks for opening this up for us! I love your house posts and am loving watching you redo the new house! You're blog is my guilty pleasure. I'm a little old lady, living on the south coast in England. My life and circumstances couldn't be more different from yours. I read your blog late in the evening. It cheers me up no end, and I go to bed dreaming of remodelling my home, and imagine I'm young, slim, blonde and so, so stylish – just like you!. Thank you, dear Sugarplum, for making me smile. You deserve every bit of success that comes your way. I like your one dress, many options and always appreciate your efforts to list all sources. Look forward to finding you in my mailbox each day! Congrats on 5 years! Congratulations! I love your style and anything you post about that is my jam. Congrats on 5 years!! I love to visit your blog for outfit ideas and home decorating tips!! I love your blog! I love the fashion and really like the high/low . Happy 5 year anniversary. I'm fairly new to your blog (I've been reading it for a little less than a year) and I look forward to reading every new post. My favorite kinds of posts are the design related ones. I also like the fashion posts although I'm plus sized and not all of the clothing is available in plus sizes. But, that's okay, I use your style tips and incorporate that into my outfits. Thank you for the opportunity to win this giveaway! Congrats Cassie!! I have loved following you along on your journey!! I love all of your posts, thank you for the daily inspiration!! I can only hope my blog can become just as amazing as yours is!! Congratulations! I love all of your posts but my favourite are your fashion ones. I love your style! I like your house decorating posts. And a lot of your fashion ones that show your favorite stuff when it's on sale. I got my own "kitten fur" wrap sweater last year when you mentioned it was on sale and I love it! Congrats on 5 years! I love your blog and look at it most every day!!! I enjoy all the post, fashion, decorating and hair also!!! I think you do a fabulous job!! Congratulations on 5 years of blogging!! Happy 5 Year Anniversary! You are such a down to earth person and I enjoy reading all your blog posts. As a mom over 30, I really enjoy your fashion posts as I need all the help I can get on staying cool. Congratulations on your 5th Blogiversary! Love your blog and everything you post! I enjoy your decorating, travel, style, etc! Your blogs are always interesting and educational! Keep up the good work and here's to many more years of blogging! Love your fashion posts and especially that you feature many items that are affordable. Thanks!! Such an amazing giveaway. I love your blog and especially your new bedroom! I'm feeling so sad for myself to know I missed out on 3 1/2 years of your wit, wisdom and fashion sense! Congrats girl..your hard work has paid off and you are definitely a leader in this blog world! I see so many things in this swag bag that I love! Happy Anniversary! Still loving it!!! Congrats on 5 years!!! I love everything you post (which is why I keep voting for you on Redbook!! )…Your fashion posts are probably my favorite. You inspire me to kick it up a notch-especially on date night! Congrats! What a nice gift! I love your decorating. Going through withdrawal from your kitchen project updates. So more of those would be great. What are you going to take on next? Your blog is one of my faves and I check it out daily! I love your whole blog, but I think my favorites are you design posts, especially the new house! LOVE your blog! Congrats on 5 years of doing something you love!!! I had been thinking for a while that I should comment, and this is a good push! 😉 I read your blog every day and I always look forward to it. Your sense of humor and obvious love for your friends and family and your great fashion sense have all inspired me so much! Keep up the great work! Congrats on 5 years! So exciting! I like the project posts best (followed closely by the fashion posts) 🙂 Here's to many more years! Love your decorating, travel and fashion posts. This is so generous! Thank you! Happy 5 years! Love your blog and love your style! Thanks for a fantastic giveaway!! Love your style and confidence!! Wow 5 years!!!! 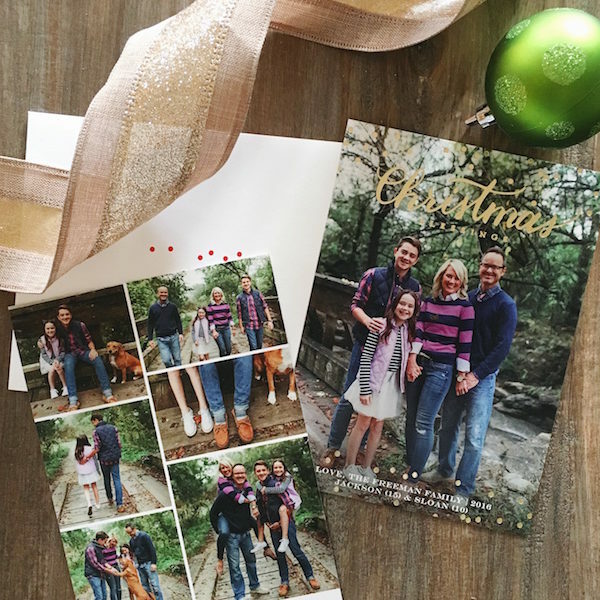 Time sure does fly by….I love your travel posts and updates on the house!! I love all your fashion posts…so fun and inspirational! Love your fashion and home decorating posts! Give-a-ways are great, too! Congrats on five years! Cassie – So sweet of you to do a giveaway with all of your goodies! Congratulations to 5 years of blogging. I discovered you over the past year, and I absolutely love your blog! Thank you! Hard to say between your house updates and your weekly wear! Love them both! Love your sugarplum fashion posts. Would love to see more home organization posts, especially as a fellow working mama with two kids! I love your style posts. Congrats on 5 years!! I adore your style posts, both house and personal… I love the way you mix colors and patterns!!! I've loved your blog for a long time and can't get enough! Congrats on 5 years! Keep inspiring us all and thanks for inspiring us all!! Ps- can't wait to get my purse tassel….I've loved yours & snatched one on sale last week, thanks to you! I love your house styling posts & clothing. Your eye for colors/patterns is great. How cool that you have been at this blog for 5 years! What an accomplishment! Cassie, I always enjoy your blog. Your style and home is awesome and always and inspiration. I feel like you are so down to earth and just enjoy life! You go girl! Wow! How awesome! I love your look for less posts. Congratulations! I so enjoy your blog. I can't say one type of post is better than another – they are all fun. Love the outfit posts and your sense of humor. Happy 5 years! Congrats! YAY!! I'm loving this blog! Happy 5th Birthday! My fave posts are the fashion posts! The style posts, those are my favorite! Could you do more style posts with different body types?! Favorite Blog! your recipes are always fun. More Kid crafts- the parade spread was great. Congrats! I love your design posts! I searched forever to find a blogger with a style close to mine to help with ideas – and I found you! Thank you! I love your DIY posts and home decor ones! Wow! 5years is an amazing anniversary!! I enjoy the fashion posts, though most are not what I can wear to work. That makes my favorite posts are your home decor/DIY, I really love your use of color and sense of whimsy. Congratulations on 5 years! I've only been around for maybe 2 years of it, but still love checking out what you have to say! I love your DIY posts, they inspire my crafty but non-creative mind 🙂 I also luuuurrrrve your look-for-less posts. I love your blog!!! Congrats on your 5 year Anniversary, can't wait to see the "new" house reno. I love your blog!! I always look forward to your Friday posts and any style tips!! I shamelessly copied your outfits for a vacation recently, just because I am so style challenged. I would love to see more of your travel tips. I love all of your traveling posts! You are too generous! I'd definitely be tempted to keep that swag bag. My favorite posts are design posts (loved your ORC makeover!). I'm 24 years old and currently renting (and about to move in with my parents while my husband and I search for a house of our own…) so I love seeing all your decor ideas and daydreaming about when I'll actually be able to paint walls! Yay for five years! Don't worry… I feel like your my best friend too 🙂 My favorite posts are by FAR the style posts! You have such a creative, unique, affordable and inspirational style! Congratulation! Love you blog! Can't decide if I love you design or style posts better. I honestly like them all. By they way, can't wait for you to reveal your kitchen. Congrats! Love everything you post!! Congrats! Wow 5 years! With dreams of starting my own blog I admire every post here at hiSugarplum. You're truly an inspiration! I love your style posts! You've inspired me to mix and match my wardrobe pieces in ways I never thought of before. I love it! I love everything about this blog and the blogger herself! My favorites are the home decor posts. I try to recreate them but it doesn't always work! i love your look for less but also love to see easy DIY crafts like your gold vases! Happy 5 years! I'm happy to report I have been here since the beginning! Congrats! My favorite posts are your home and decorating posts. Congrats on 5 years! Love your outfit post and home renovation post! My favorite posts are fashion and projects. Thank you so much for offering such an amazing giveaway. Congrats! Love your travel posts. Congrats on your 5 years! I just started following a few months ago and love everything! Happy 5 years!!!!! I just recently found your blog and I'm happy I did!! I love your fashion sense, as I have a hard time dressing myself. So I can spend almost an hour just reading your blog; everything else can wait, right. Lol =) Thank you for this awesome giveaway!!! I have read your blog since almost the very beginning! Thanks for keeping us laughing and inspiring us! I love your projects, especially: Home Improvement/Home Decor type. I've found your blog just recently but I've fall in love 🙂 Thanks to you I'm planning to make curtain rod from pipes for my living room. I like the fashion posts! Congrats!! I really love your packing for trips posts. 🙂 I also love all your DIY posts…so more of those, please!! How about workouts/diet info? How do you stay so cute? Love your style and home posts the most! Congrats on 5 years! i really enjoy all of your post, but would say that your decorating post are some of my favorites. Congrats!!! I absolutely love your blog. I love ANY and ALL your style posts. I do know I spend too much money following your blog! Ha!! Thank you for sharing! I'm definitely a fan! Blessings to another 5 years!! Congratulations and Happy Anniversary!! My favorite have been your home remodeling and diy posts. Everything you do is amazing!! I love your fashion posts and when you show multiple ways to wear one piece. What an amazing giveaway, thank you! I love your Friday fashion posts the best, along with your amazing vacation posts. I'm so looking forward to your Alaska recap, as it's the last of the 50 states on my list! Not sure if my other comment posted-but I love your Fashion Friday posts! Such cute outfits & very wearable for the average gal! I can't pick a favorite! I love everything!! Happy five years!!! I love your fashion posts and your tutorial on curling your hair. Thanks for the chance to win! 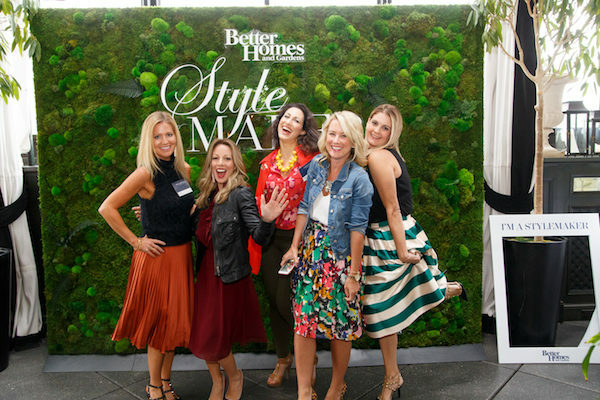 Style posts! Thanks for the giveaway. I love reading your blog. It makes me feel closer to my son who lives in Dallas. I love your style posts…and in particular, your Facebook posts with deals on fun clothing/accessories! Happy 5 years to you! My favorites are your party and home decorating posts. I'm not super fashion forward, but I do enjoy your "look for less." I love the list posts — either top ten or friday five! I love the posts with one item styled several ways. So many bloggers appear to never wear an outfit or item more than once, it's so refreshing to see how you make purchases count! Keep them coming! Congratulations on your blogiversary! I really enjoy your style posts (0: Thanks! Congrats! You're one of the few blogs I check and read every day! Love design and organization posts, love your voice and humor! Congratulations! Fashion and decor are always favorites. Here's to another 5 years! Amazing giveaway girl! Love your blog! Congratulations on 5 years! I like the decorating and fashion posts. Thank you for the giveaway. I love your fashion posts, especially showing high and low versions (You inspire me with cute ideas I would never think of…or be bold enough to try!). And you are so darn funny! Love your blog! Oh…your travel posts make me swoon too! Okay, okay,…your whole rootin tootin blog! I love your outfits. They are affordable and fun. Love reading your clothing posts! You share stylish ways to mix it up! So sweet of you! Love your blog! Congratulations on 5 years! You are an inspiration in many ways! I especially love the Look for Less posts and any/all of your outfit posts! 5 years! Love you blog and all of the posts on your new house! Love your home decor posts and fashion posts! Great giveaway!!! What a generous giveaway! Congrats on 5 years blogging. I have been following for over two years. The pieces I love most are your fashion posts and your sense of humor! Keep up with great work – here's to many more years! Your fashion posts are my favorite! Congrats on 5 years! I typically love posts about your house but since reading I've learned quite a few fashion tips. My favorite is mixing striped shirts with floral scarves! Keep doing what you are doing! I just recently stumbled upon your blog! I love your bathroom organization post! The outlet in the drawer is genius!! Love your blog! Your fashion posts are my favorite! I always looks forward to seeing your fun DIY projects too! So glad I found your blog! I admit I binge read all of your past fashion posts after I saw the first one. I love the fact that you aren't afraid to take risks with your decorating, too. Congrats on 5 years!! I LOVE your blog–you are such an inspiration, in a number of ways. Thanks for doing what you do; I know a lot of work goes into it. And, what an amazing giveaway! I love your blog! Really …I love to read it daily and can't wait to see what decor, fashion, vacation etc advice or ideas you post. Not to mention you're hilarious! I'll read your hash tags and posts to friends who now follow you too! You've inspired me to take on design projects and expand my wardrobe options I never knew were possible. Thank you!!! Congratulations on 5 years of blogging! I've been reading your blog for a few months and it has quickly become one of my favorites! I love everything — your home is beautiful, I love your outfit posts, love it all! I recognize a ton of work must go into everything you do, and I appreciate it! I hope you find joy in blogging for a long time because I so look forward to your posts! Cassie: Wonderful words about your Poppoo. What an inspiration and a blessing he left you with the blog. Love your fashion and decorating tips! I am in love with your blog! It's so fun! My favorite are the fashion and decor posts. I feel like your style is so fun but also realistic in price and comfort. I love that. Also I like the travel advice and the organization posts. Oh and the recipes 🙂 Basically I love everything you post. Keep up the good work! Congrats on 5 years! I'm a fairly new blog reader but I gotta say I look forward to your fashion posts the most but loved reading about your bedroom makeover. So much inspiration! Wow…Five years? That is awesome! I love your style tips. Thank you so much! I love seeing how you transition pieces from casual to dressy! Let's see more of that house!! So glad I found your blog. Love the fashion, home decor and travel posts!! What is your favorite type of post on Hi Sugarplum? What would you like to see more of?! Congrats! What an accomplishment! I would love to see more house renovation pictures/blog posts! They are so inspiring and my absolute favorite!! Love all your posts! You have a great design style / not afraid of bold colors (unlike me!) and I live your fashion style. I've purchased numerous items you have recommended! I think it is great how you and the husband prioritize travel! I lived in AK most of my life (29.5 out of the 36 years!) and only recently moved to the "L48". You will love your cruise to AK! It is gorgeous!!! Even after living there 29 years I was still continually awed at the gorgeousness of the place! I miss it like crazy and still tear up when I see pictures of the Alaskan mountains! Can't wait to read your trip recap! Yay for 5 years! Excited about the giveaway and voting everyday for the redbook magazine. Congrats on the blogiversary! 60 months of blabbering is something to be proud of for sure. I enjoy lots of your posts, especially the home decor. I love mixing patterns and colors so you pretty much speak to me! Love your blog from one Texas girl to another!!!! I enjoy the variety of your posts. Congrats on five years!! I love your blog- especially your home and fashion posts! Loved your new master bedroom reveal!! This is beyond generous of you, I love that you are doing such a sweet thing! I love your fashion posts and think you should definitely keep those up – your mixing of colors has be inspired. Also want to see more of your new house!!! love all the holiday crafts. Thank you very much for the opportunity! Happy Anniversary! Thanks so much for the awesome giveaway! Found you late last year, and it was the best stumble upon of blogs I've ever found! Thanks for all you bring to us! I really like the home design and daily style posts! Happy Anniversary! Thanks so much for sharing this. I love your blog posts and look forward to them everyday! Congrats! i love Sugarplum Style! more "let's chat" posts! Your blog is one of the best around. Love all your content! Thanks for your generosity. I love drawing inspiration from your style posts! I love the variety! Fashion, home decorating, DIY….its all great! Wow 5 years, happy 5th blogging anniversary! I love all your post with fashion and home design. The bright pops of color that you pull together are so fun to see, wether it be your accessories that tie an outfit together or the pillows on the sofa. I can't wait to see more of what's in store for the new house. Congrats, your fashion tips are just great keep up the good work. I can't get the Pi Teresa entry to work. I follow you, but it won't accept my entry. Boooo. Hahaha. I love your fashion posts, as well as your home decor ones! Happy anniversary! Would love to win! Happy anniversary! Happy 5 years! I'm a long time reader and fan and can't wait for the next 5+ years!! Cassie, congratulations on your 5th Anniversary!! I've been following along for 4 of those years!! Thank you for the generous giveaway!! Love the style posts! Congrats on the the anniversary! Here's to 5 years! My favorite is a toss up between fashion and home decorating. Love them both! I really enjoy your style posts because you don't take yourself too seriously. I also can't wait to see more spaces in your new house! Not sure what my favorite topics are. Basically your blog makes me smile. It's a glimpse into a life very different from my own. I like the outfit posts, and design before-and-after. It's inspiring to me, especially since your style is so different from my own, and it pushes me out of my comfort zone. Congrats on 5 years! You are my favorite blog! I like your DIY posts! Congratulations on 5 years! I like your design posts. Thanks for the giveaway. I love your home photos, beautiful! Always look forward to sharing my morning coffee with you….all your posts brighten my day! Thank you. I love your blog! You have a great balance of fashion and home decorating posts. You have a wonderful sense of style! Congratulations on 5 years! Thank you for doing this giveaway! My favorite posts are your outfit posts! Love your style! I recently found you via Megan's blog (HWH) and thoroughly enjoy reading all that you're up to! I think home and fashion are my favs, of course!! Love seeing your new home come together! Congrats on the blog! It's so much fun! I love the decor/design posts but also the fashion….especially the look for less. Congrats on 5 years!! My favorite posts are the clothes. Even though I am older… it helps me keep up! I love seeing your home renovation posts, as well as your fashion! I love your style posts! Congrats on 5 years! Congrats on 5 years! I've been following for the several years and have always enjoyed the mix of fashion, decor and keeping it real! I love your fabulous fashion posts! Thank you for the wonderful giveaway. Congratulations on your 5 years of blogging!! I enjoy reading all of your posts, but my favorite are the Friday Five. I'm a new reader, but I love your kitchen reno and your bold style! What an amazing giveaway! So much fun! i enjoy the top 10 posts! Enjoy the DIY projects. HAPPY 5th!!!! Love your blog. I just recently discovered it. My favorites are the diy home projects but fashion a close second. Keep up the good work! I love all the fashion posts, travel posts, home decor posts, pretty much all your posts!! wow there are too many post to choose one! but if I had to choose it would be your DIY – I luv how you make standard items look so customized and high end! I think you do a great mixture as it is. I wouldn't change anything on that end. I love your home renovation posts – only slightly obsessed with your backsplash! Also, your posts on San Juan/Vieques were incredibly helpful in planning our trip there!! Love all your posts, but especially love the style ones. Thanks Cassie! Congratulations! I absolutely adore your fashion posts and wish I could shop your closet! Congrats on the 5 yr anniversary. Your new house is going to look awesome by the time you are done decorating it. I love your travel posts! Good ideas on the fashion posts. I just started reading your blog about 2 months ago and am already hooked! You have an amazing sense of style!! I love your fashion posts the most! Thanks so much for your ideas! I would love to see how you organize your closet for ideas also!! Voting for you to win!! Congratulations on 5 years! Would love to win. My favorite posts are definitely your outfit posts, because you post accessible, affordable, totally wearable outfits! Congrats Cassie. I love your blog and visit daily. Especially love your fashion posts re: high vs low cost items. Love all your decorating before's and afters. Congrats on five years! I enjoy the home decorating and party planning posts most. Congrats on 5 years! I love all your posts, especially style on a budget! I really love the fashion posts and your home updates! Congratulations on your fun blog! Keep it coming! I love your fashion posts and seeing your house come together. Congrats on the 5 years! I am loving the fashion posts and decor. I have major envy of your wardrobe! I love the variety of articles you share. Thanks for the opportunity. Thank you! I love your style! Cheers to 5 years! I love your blog! It is full of great inspiration! I especially love your bedroom. After seeing your reveal, you've inspired me to add emerald green to my all white master! Hi Cassie! I've been following your blog for a few months now and love all your posts. Congratulations on your anniversary! i love the home styling and vacation pics best!!! I love your everyday fashion posts! I love your Sugarplum Style posts and your design posts! I dream of having a house full of colorful pillows thanks to you! I love the fashion posts and I would love a tour of your new home! Even without it being "done"
I enjoy your fashion posts and would love to see more project posts. So glad I found your blog! Happy blog anniversary!! I love your organization posts!! Congratulations on 5 years! I just found your blog, but love the DIY and décor posts! Wow 5 years! I love you home and outfit posts, especially the recent one on packing for a trip! Keep it up! Love your blog and congrats on 5 years! I like everything you blog about but especially the home decorating posts. Can't wait to see how you transform the rest of this house! I like your home design posts with the DIY tricks mixed in! I love your decorating posts. I also enjoy your recipes. Southwest potato soup is one of our favorites now! Thanks! Congrats on 5 years!!!! What an awesome accomplishment!!!! Love fashion posts and decorating!!! More fashion finds are always helpful!!! Love you! Happy aniversary ! Amazing swag!! Thank you for the chance! I've only been a recent follower, but love your sense of style! Congrats on your 5 years! I love the variety of your posts! Home, DIY, fashion, etc. They're all so fun and that's why I love following you. I would probably like to see more home/design posts, maybe featuring bargain items. I'm from the Dallas area, too, so it might be fun to have a few posts featuring local things – shops, outings, etc. Love your writing style! I love the blog just the way it is. It's a great mix of family, fashion, and homey (don't play this) topics. Keep up the good work!! I can't believe it has been 5 years. I have been reading your blog for a smidge over 4. CONGRATULATIONS!!!! I always look forward to your posts. Thank you for sharing your swag goodies, you have such a huge heart. Kim in Texas. I love your blog! I enjoy your mix of posts including fashion, travel, and home decor all told with a sense of humor. Thanks for sharing your wonderful life and adorable family! Love them all, but my favorites are the shopping posts where you source great deals. Not that I need the encouragement to shop 🙂 Thanks for sharing your life with your readers! Happy anniversary!! Congrats on 5 years! I love all of your home improvements and your just go for it designing mantra! However the quasi-eccentric posting of everything and anything is great! Here's to many more! Congrats! Style posts are definitely my fave! Congrats on 5 years! I think I've been reading you from the beginning! Fun to see your kids grow and all of the creative things you come up with. Looking forward to seeing more of how you style your new home. You are so amazing to gift this to a reader, Cassie! Just another thing to love about you 🙂 Your blog is a bright spot on the web and I love all the inspiration, whit, and the strange desire to eat tacos I have after reading. Congrats on 5 years!! I can wait to see what's ahead! Congrats! Excited about the giveaway! Congratulations!! Love the mix of everything and that you keep it real (admitting mistakes or indecisiveness). Think the house updates are my favorites though. Hope to see you on the Redbook cover too! Thanks for a great giveaway – love your blog! Thanks for such an awesome giveaway! I love your fashion posts, especially looks that work in the office! I think my favourites are the DIY ones. There are some really, really nice DIY projects I'd like to try. Congrats on 5 years Cassie! I discovered you last fall and I LOVE your outfit posts. You totally should win the Redbook contest. Thank you for sharing your fun style and sources. I am now the proud owner of the Kitty cardi, and a denim vest and find myself thinking "What would Cassie wear?" Now I just need to get fit like you-ha! I would LOVE to win your fabulous prize. You reminded me I will have been blogging off and on for five years next month! Congratulations on 5 years! I found your blog in the last few months and I was immediately drawn to your outfit posts. The hair post was fun too! Honestly keep doing what you are doing because I love all of them–you rock! I've been here for 4 of those years! congrats on how far you've come in this very over saturated "market". i love your fashion and travel posts! What a fun bag of goodies! Congrats on 5 years! Congrats on your 5 year blog anniversary! I love your fashion posts. I like that a lot of the clothes that you feature are affordable. I can't think of any type of post I would like to see more of. My favorite type of blog post would be the house renovations. I would like to see more organizational posts, or daily planning. You have the perfect mix — don't change a thing!! I love the variety of your post. If I had to pick, I guess I'd pick your party themed posts. Thanks for all the great content! I honestly love every element of your blog, from the home decor to the fashion. Your travel posts have been very inspiring to me, also. Big fan of your DIY, fashion and home posts! Love you and everything about your sweet blog! 🙂 BIG Congrats, so thrilled for you and all of your success, thanks for five years of fun inspiring posts! Five years blogging is quite an accomplishment. I love your blog posts espec ones on your new home decor and fashion choices. Wow! 5 whole years?? So, I just want to say I really like all your posts, but I love your fashion posts. I feel slightly in a rut as far as fashion goes, and love it when I get a great idea/tip off from one of your posts. And as far as what I would like to see more- I love seeing the renovation details! Thank you for keeping us involved in those! I love the outfit posts! Congrats on your 5 years and many more to come! I love that you love color as much as I do! And I love seeing how you put a room together and great places to find the good stuff! Wish I'd found your blog 5 years ago when you began! Love the fashion tips, keep em comin! love the fashion posts, as well as the home decor ones. Keep up the good work! 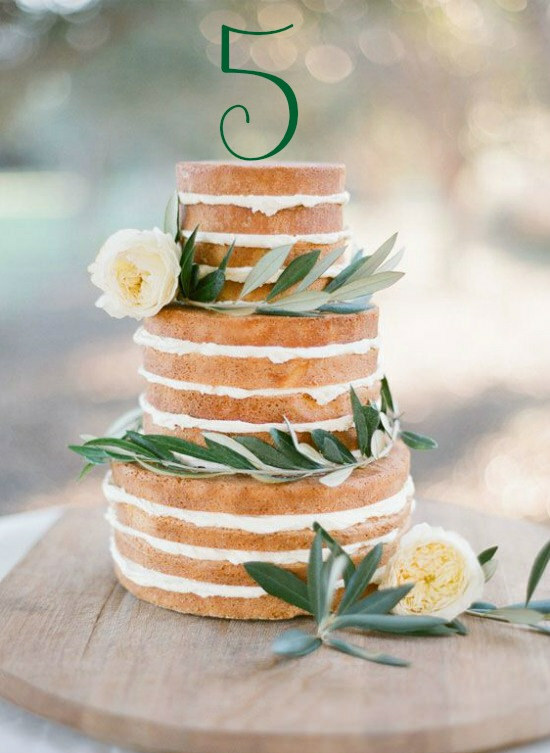 Congrats on Five Years in the Blog World! Your one of my favorites!! Hi! I love hearing about day to day activities and recommendations in the area! What a great giveaway! Your blog has turned into one of my fav daily reads! I love the everyday style posts and look for less! Thanks for sharing your life and thoughts with us! Love your blog – esp. the style and travel posts! Congrats on 5 years! I love everything you post – but I do spend more time reading/studying your outfit posts. That said, I want to see more of your house! Happy Anniversary! I adore your style and have loved watching you transform the new house. What an awesome giveaway! So awesome! Congrats on 5 years and many more! I love your fashion, decor, and DIY posts the most, more of that and i am happy! I love your fashion posts the best and also your home decorating. I read your blog every day. Thank you for making it so interesting to read. Room make over and fashion posts are my favorite! congrats on 5 years i love all your posts. Congrats! What an awesome giveaway! Really enjoy your posts! I did vote!! Congratulations on your 5 years. You are using your gift to bring so many continuous inspiration. Thank you. I enjoy all of your post and can't think of a thing to add. I am a long time email subscriber! My favorite posts are easy DIY projects! I love the inspiration I see from your decoraring column.I am subscribing today.Love your site. I love your projects posts 🙂 Congrats on 5 years! I love the mix of posts you provide and wouldn't change a thing. You rock! I like that every day is a little different . . . the Friday posts with random bits of everything are my favorite! Congrats on 5 years! You're always so peppy and bright – visiting your blog always puts me in a better mood! I love the bright colors you use and mixture of pattern!! I don't know if I could be that brave. Keep it up!! Contrats! I enjoy your blog daily! Oh my goodies!! So sweet of you to share! Happy 5!! Congrats on 5 years! I just love your style and you put outfits together so well! PS-I don't take my shoes off in dressing rooms too! I love your fashion & travel packing posts! I love how you switch it up and don;t just show the same content everyday. I can't wait to see all the finished rooms from your new house! congratulations to your blog for reaching 5years.. i like your post about traveling on a budget, since i'm a thrifty mom.. i'd like to see more of parenting articles..
love your posts on fashion and your home and your favorite. They have such joy and color. Congrats to five years!! I just found your blog and I am OBSESSED! Love reading about your adorable fashion sense and great decorating style. Congrats on 5 years!! congrats, here's to many more! Being new to your blog I think that everything is just great! Congrats on such a wonderful milestone! I like your fashion posts- tips and styles. Congrats on 5 years! My favorite posts are your affordable fashion posts! Your blog is so pretty! Congratulations on 5 years, that is a good thing. I love the DIY posts. Happy Anniversary! I just love your blog. I enjoy your wit and your wonderful eye for fashion and decor. I have really been enjoying all of your posts about your new home. I love the kitchen updates and swoon over your master bedroom! Keep the home decor posts coming. Love all your posts but especially the fashion and your decorating. You have such flair and enjoy reading everything. This is a great contest, thanks. Congrats on 5 years! I really like your crafty projects and recipes! Great giveaway! I've been reading your blog for a few years now and I love the diy and decorating posts! 5 years! That is amazing! Congratulations and thank you for sharing, writing, and organizing things like this giveaway! Congratulations on 5 years!!! Thank you for sharing your gift with us!!! You inspire me with your fashion posts, give me great ideas with your design and DIY posts, and your travel posts make me want to stow away in your suitcase….of course that wouldn't work with your how to pack a carry-on! And I'm forever grateful that you introduced me to 'Crack Bark'!!!! Happy Blogiversary Cassie! Yours is one of my favorite blogs to read, and I hope you have many more successful years ahead! Sorry to be no help but I love all of your posts 🙂 I think you have just the right mix. Just keep it coming. I have to admit I like the giveaways and the packing article has changed how I pack. Congrats! I love DIY Posts! Congratulations on 5yrs! Great giveaway!